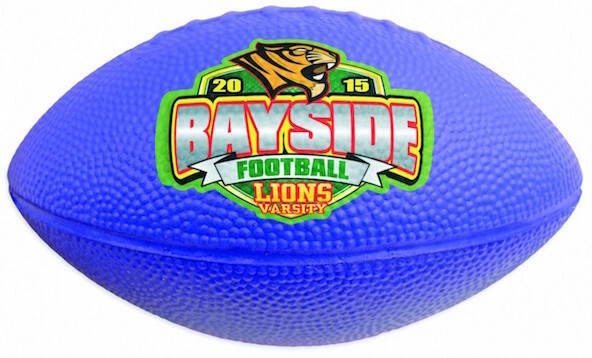 10" foam footballs are soft and durable, available in a variety of colors. Product Size 10" - measured with arc of ball. Imprint Area 3" W x 2" H OR 2 1/4" diameter. Full Color: 3" W x 2" OR 2 1/2" diameter. Printing surface is textured, bold graphics recommended. Personalization With Full Color Printing, we print on a transfer material that is permanently adhered with heat. Great item! Logo was larger than expected - and the students loved them!